Editor’s Note: The following is a testimony delivered by Christen Linke Young to the House Education & Labor Subcommittee on Health, Employment, Labor, and Pensions on April 2, 2019. More information about the hearing can be found here. Young’s testimony was drawn from State Approaches to Surprise Out-of-Network Billing, research conducted by the USC-Brookings Schaeffer Initiative for Health Policy, and sponsored through a grant from the Laura and John Arnold Foundation. Chairwoman Wilson, Ranking Member Walberg, members of the subcommittee, thank you for the opportunity to testify today. I am Christen Linke Young, a Fellow with the USC-Brookings Schaeffer Initiative for Health Policy. My research focuses on private insurance, access to coverage, and the intersection between state and federal policy making. I am honored to have the opportunity to speak with you today about surprise out-of-network billing. A group of scholars affiliated with the USC-Brookings Schaeffer Initiative for Health Policy – Loren Adler, Matthew Fiedler, Paul B. Ginsburg, Mark Hall, Erin Trish, Erin L. Duffy, and me – recently published an analysis of out-of-network billing and associated policy solutions. My testimony today is based on that reasearch, which reflects the work of this diverse and thoughtful group of coauthors. Further, this testimony reflects my personal views and should not be attributed to the staff, officers, or trustees of the Brookings Institution. Surprise out-of-network bills arise when a consumer receives care from an out-of-network provider in situations they cannot reasonably control. One common example is when a patient sees out-of-network anesthesiologist for a procedure at an in-network hospital, but these sorts of bills can arise with respect to many types of services – emergency department, radiology, pathology, and even neonatology and hospitalist care. Situations like these – where a patient is receiving care from an out-of-network provider that she did not choose – are fairly common. Studies suggest that about 20 percent of emergency department visits and 10 percent of elective inpatient care stays involve at least one out-of-network provider, and about half of ground ambulance rides are out-of-network. The bills patients receive under these circumstances can be quite large. The existence of these surprise out-of-network bills and their large sizes reflect a market failure. For most types of physicians in most geographic areas, joining insurance company networks is standard because many patients are not willing to bear higher out-of-network costs. But for types of physicians that patients do not choose, this logic does not apply. Emergency physicians, anesthesiologists, and other ancillary physicians receive a flow of patients based on individuals receiving care at the hospital in which they practice, and that volume will be largely the same regardless of whether they join an insurance company network. Because volume does not depend on the prices set by providers in these kinds of specialties, going out-of-network frees them to bill patients at essentially any rate they choose. And, as would be expected, we see that physician specialties that are able to bill out-of-network have high charges compared to other doctors. For example, for most physician types, median charges are about double what Medicare pays for the same service. But for anesthesiologists and emergency medicine physicians, charges are about five times greater than the equivalent Medicare payment. To be sure, many of these providers do still choose to join insurance company networks. That may be because they find it distasteful to bill patients directly or because they prefer the ease of collecting from insurers rather than patients. But when they do go in network, they appear to receive some of the highest in-network payment rates in the health care industry. Whereas the in-network payment rate across many similar specialties averages around 125 percent of the Medicare rate for the service, the available data suggest that the average in-network rate for anesthesiologists is roughly 350 percent the Medicare rate. For emergency medicine physicians it is roughly 300 percent the Medicare rate. One way to understand these very high in-network rates is that these physician types exploit the fact that they could remain out-of-network to demand very high payment rates when they do go in-network – payment rates more than double what their peer physicians who cannot realistically plan to stay out-of-network receive. Further, the impact is felt broadly by consumers of health care. 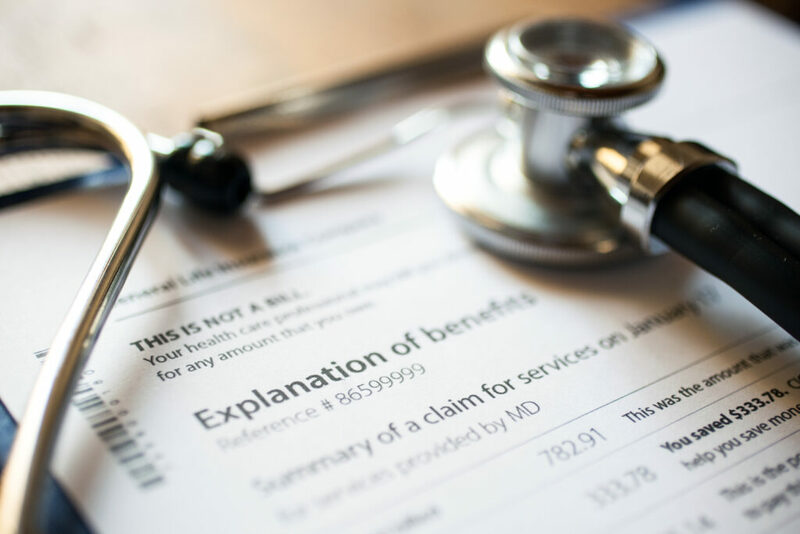 Sometimes, an out-of-network care episode generates an eye-popping surprise balance bill that ends up in the news, but in many other cases, the insurer agrees to pay the very high charge, and this, along with high in-network rates, drives up premiums for everyone. Policymakers who want to solve this problem need to correct the market failure and create an environment where these providers face a more typical set of incentives. There are two basic ways to approach the solution. The first is to establish an amount that these physicians will be paid when they deliver care out-of-network. Policymakers should establish the out-of-network price for the relevant service, either directly or through arbitration; prohibit balance billing above this amount; and require the insurer treat this amount as in-network. The goal is not to establish the exactly “correct” commercial payment rate, but rather to establish conditions that diminish the attractiveness of the out-of-network option and lead these providers to go in-network or work with hospitals to get paid a normal rate. While there are a number of methodologies that can be used to establish this out-of-network price, it is critical that it not be set at a rate that is “too high” (either higher than now or that locks in the current distorted rate), since that would drive up costs and frustrate the basic goal of restoring a market for these services. The second approach is to get these types of providers out of the business of billing directly to patients or insurers, at all. Instead, they would be paid by the hospital or other facility in which they practice. Hospitals would negotiate with insurance companies for a rate that includes the services, and the hospitals would pay the anesthesiologists and other-facility based providers. An alternative version would require that facility-based providers establish contracts with all insurers that are in-network for the facility at which they practice. Before I close, I want to briefly highlight the work states are already doing. Many states have taken steps to correct the market failure by pursuing a diverse array of policies – generally by capping the amount that a provider can be paid out of network. But states are somewhat limited in their ability to act comprehensively by the threat of ERISA preemption, and they face challenging border-state issues.